Cowboy mounted shooting (also called western mounted shooting and mounted shooting) is a competitive equestrian sport involving the riding of a horse to negotiate a shooting pattern. Depending on sponsoring organizations, it can be based on the faithful reenactment of historic shooting events held at Wild West Shows in the late 19th century. Modern events use blank ammunition certified to break a target balloon within twenty feet instead of live rounds. With its origins in the 1990s, growing out of Cowboy Action Shooting (CAS), the sport requires both equestrian and shooting skills. A typical event requires two single-action revolvers loaded with five blank cartridges. Ten targets are arranged in a horseback riding arena, and the rider guides the horse across a timer line and engages the ten targets. When all ten targets have been hit, the rider returns across the timer line and the score is determined and re-corded. The raw time of the rider is computed and penalties are added for missed targets or failure to follow the specified course or procedure. The sport attracts men, women and junior shooter/riders. 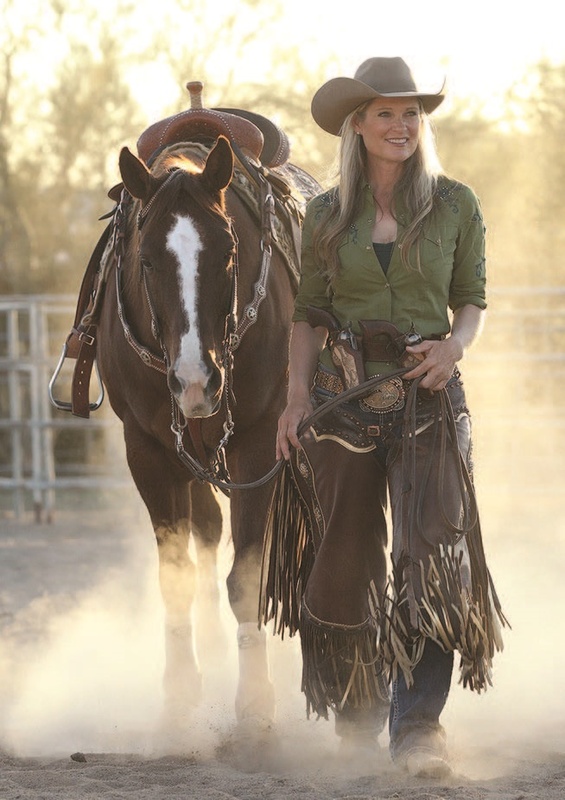 Cowboy mounted shooter Kenda Lenseigne after a successful event. Photo by John Beckett; hair and makeup by Julie Koeth, courtesy Safariland. Southwest Regionals, Feb. 10–12, 2017, Queen Creek, AZ: Overall winner with a time of 69.637, placing above 211 competitors, both men and women, with the fastest time in three out of five stages. 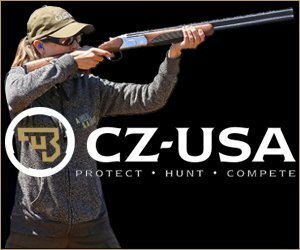 CMSA Winter U.S. Champion-ship, Feb. 15–18, Queen Creek, AZ: Overall Champion Cowgirl, placing above 231 competitors, both men and women, with a time of 72.388. Winter Range Championship, Feb. 26, Phoenix, AZ: Overall title time in all five stages was 45.425, placing above 108 competitors, for both men and women. February Shooter Jackpot, Feb. 27, St. Cloud, MN: Overall title time in three stages was 48.525, placing above 70 competitors, for both men and women. Lenseigne is a Bianchi Team pro rider. Bianchi is a holster/leather brand of the Safariland Group. Mounted shooting uses black powder theatrical blanks with no bullet. A number of companies manufacture certified ammunition for competition. These blanks were originally used in movie production and on the theatrical stage so that flame and smoke can be seen from the muzzle of the firearm. This burning powder will break a balloon target out to approximately twenty feet. With its origins in CAS, competitors originally wore period dress, but now modern cowboy clothing is the norm. 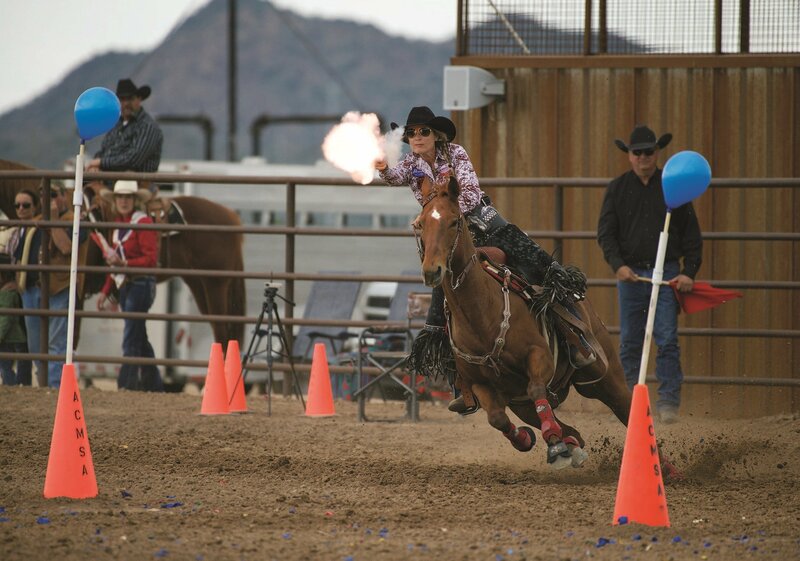 Lenseigne competed in all five competitions with her Smoke-chaser™ Bianchi Cowboy holster. Next up for Lensigne and Sparky is the CSMA National Championship in Tunica, MS.
For more information on the sport, the Cowboy Mounted Shooting Association (cmsaevents.com) or the Mounted Shooters of America (newsmsa.com) list local clubs and upcoming events.